The following is a list of all Ursa Major Awards winners since 2000. Best Live Action TV Series: The Muppet Show! Best Live Action Feature Film: Who Framed Roger Rabbit? After the convention, a permanent award committee was set up to extend the concept. Best Anthropomorphic Game: Star Fox Adventures, Designer: Rare, Ltd.
Best Anthropomorphic Game: Wallace & Gromit in Project Zoo, developed by Frontier Developments, Ltd.
Best Anthropomorphic Other Literary Work: Tales of the Questor, Volume 1 [color edition] (April), by Ralph E. Hayes, Jr.
177 ballots were received, all posted online. While the majority of voters (over 100) came from the USA, a significant proportion were from overseas, including Canada, Australia, Denmark, Finland, Germany, Malaysia, the Netherlands, New Zealand, Norway, the Philippines, Poland, Romania, Slovenia, Sweden, West Indies, Trinidad, and the U.K. In total, 201 ballots from 15 countries were counted: 145 from the U.S.; a dozen or more from Australia and the U.K.; a half dozen or more from Canada and Germany; and one or two each from Austria, Bulgaria, Italy, Laos, Mexico, New Zealand, the Philippines, Russia, Spain, and Sweden. All ballots were cast online. The voting for the awards was open to all furry fandom via the Internet; and took place between March 14th and April 19th; and received over 270 votes from countries as diverse as Australia, Austria, Bulgaria, Canada, Germany, Ireland, Italy, Laos, Mexico, New Zealand, Philippines, Russia, Spain, Sweden, the UK, and the USA. Best Anthropomorphic Motion Picture - Guardians of the Galaxy, directed by James Gunn. Best Anthropomorphic Dramatic Short Work or Series - Furry Force by CollegeHumor and Smiley Guy Studios. Best Anthropomorphic Novel - Off the Beaten Path, by Rukis. Best Anthropomorphic Short Fiction - When a Cat Loves a Dog by Mary E. Lowd. Best Anthropomorphic Other Literary Work - Blacksad: Amarillo, by Juan Díaz Canales and Juanjo Guarnido. Best Anthropomorphic Graphic Story - My Little Pony: Friendship is Magic, by IDW Publishing. Best Anthropomorphic Magazine - In-Fur-Nation, edited by Rod O'Riley. 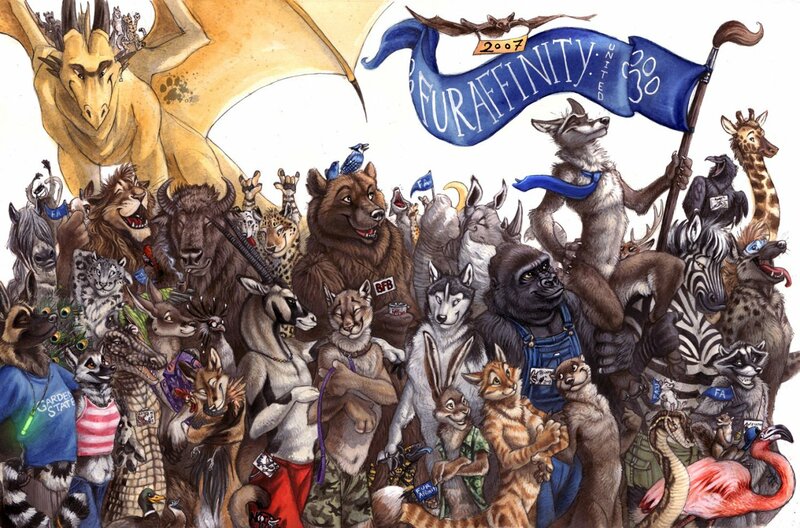 Best Anthropomorphic Published Illustration - cover for Midwest FurFest 2014 convention book by Sabretoothed Ermine. Best Anthropomorphic Game - Pokémon Omega Ruby and Alpha Sapphire, by Game Freak (developers), Nintendo and The Pokémon Company (publishers). Best Anthropomorphic Other Literary Work - Furries Among Us; Essays on Furries by the most Prominent Members of the Fandom edited by Thurston Howl. 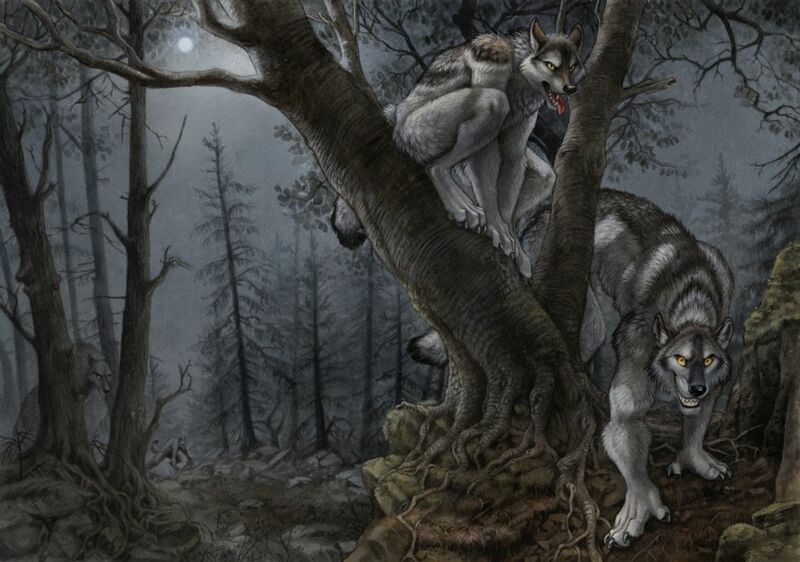 Best Anthropomorphic Published Illustration - by Kenket for the cover of the Eurofurence 21 Program book. ↑ Award Winners 2008 on the Ursa Major Awards website. Dated May 16, 2009. Retrieved January 16, 2016. ↑ GreenReaper 2010-05-31. 2009 Ursa Major Award Winners. Flayrah. Retrieved on 2010-06-01. ↑ Award Winners 2009 on the Ursa Major Awards website. Dated May 30, 2010. Retrieved January 16, 2016. ↑ Award Winners 2010 on the Ursa Major Awards website. Dated May 13, 2011. Retrieved January 16, 2016. ↑ Award Winners 2011 on the Ursa Major Awards website. Dated June 4, 2012. Retrieved January 16, 2016.